1 photograph : col. ; 12 x 13 in. Photograph is mounted on a matboard and is in a folder. Inscription on back: "Our only formal family portrait, taken at home April 1952 by an itinerant photographer. 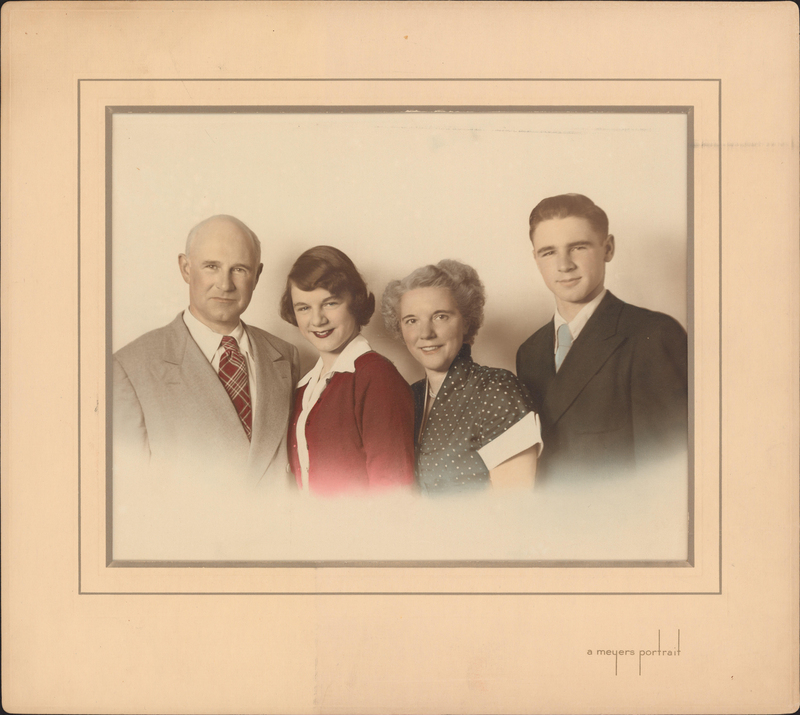 Left to right: T. H. R., Frances, Edith, Tom Jr."